A high-tech entrepreneur/health coach outlines a personal regimen intended to foster worldwide well-being in this debut self-help book. Hellman, a 30-year veteran of the high-tech products sector (including being co-inventor of two clinical data-management patents) as well as a graduate of the Duke University Integrative Health Professional Coaching program, describes his eating plan as creating “a way of life that is inclusive, healthful and spreads happiness and good will.” He explains his concept by first discussing its “Karma” element, a proposal to always pair eating with a “Karma Act,” such as cooking a meal for someone, leaving a server an extra tip, giving full attention to your dining companion, etc. Moving on to the “Sense” portion, Hellman touches on core nutrition precepts, including providing a chart outlining how losing fat, maintaining weight, or gaining weight involves consuming fewer, the same, or more calories than burned. The “Eating” section delivers Hellman’s recommendation to adopt five healthy habits: eat slowly and stop before full; eat protein at every meal; eat more vegetables and fruits; eat “whole food” (i.e., minimally processed) carbohydrates after “vigorous exercise” (activities that leave participants unable to say more than a few words without pausing for breath); and eat “good” fats daily (omega-3 and monounsaturated fats, as well as omega-6 and saturated fats) and balance a variety of good fats. Hellman injects plenty of personality into this book, along with a superb graphic sense, presenting an array of charts and photos enlivening the text. To the author’s credit, he even addresses his “personality quirks” in an introductory chart, noting, “This book is riddled with riddles, jokes, and random pop-culture references.” Generally, Hellman’s riffing style entertains, although the reader may wish for a bit more how-to advice about meat, including additional recipes. 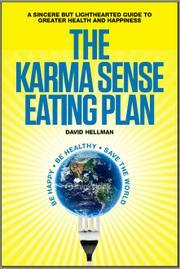 Still, Hellman’s passion becomes infectious, and his idea to link mindful eating to acts of kindness remains a heartwarming, inspired concept. Expansive, engaging approach to personal health. Choose FITness Not FATness Today!